Saturday, February 2, 2019 at 3 PM was a day that will go into history for the Galena Park ISD community. The Army National Guard, UIL and MaxPreps came together to bring the GPISD community a proud day. The event was billed as a Pep Rally and it surely was, as thousands of fans, family and students packed the stadium cheering their Mustangs. The Master of Ceremonies was Casey Johnson, a North Shore High teacher who kept the program agenda moving forward and lively with his occasional encouragement and stirring up the crowd to get loud cheers for their Mustangs. The Mustang Nation was “in the house” and let it be known they love their East-Side Boys. Terri Moore, Assistant Superintendent at Galena Park ISD, introduced elected officials who presented proclamations or resolutions honoring the team. Houston’s Mayor Sylvester Turner, Jacinto City’s Mayor Ana Diaz, Galena Park’s Mayor Esmeralda Moya, Senator Carol Alvarado, State Representative Ana Hernandez, County Commissioner Adrian Garcia, Constable Chris Diaz, GPISD Trustees Jeff Millier, Wilfred Broussard and Yuroba Harris, representing Congresswoman Sylvia Garcia, who couldn’t attend. Mayors Turner and Ana Diaz proclaimed North Shore Mustang Day in their cities. Bill Moore representing MaxPrep for Andy Beal, President and Founder, gave a press statement proclaiming the undefeated North Shore Mustangs 6A Division I number one in the nation. Maxprep is a CBS Sports Digital property, and it’s the online high school sports leader devoted exclusively to the coverage of high school sports, and uses an intricate program to determine team rank. The computer-based system utilizes the huge number of game results played nationwide each season. The Mustangs set a school record for most wins in a single season; evaluations included strength of schedule, talent, quality wins and returning starters, and to qualify for the Nation’s number one rank, you must have won a state championship. 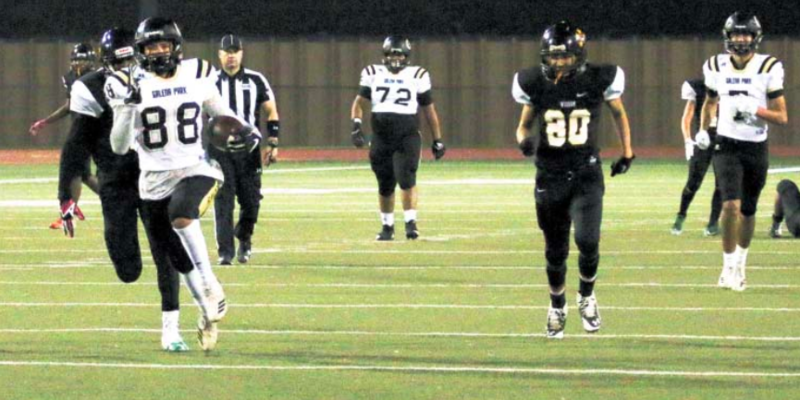 The Mustangs trampled their opponents to the tune of a 41 point average margin of victory. They set a school record for most point scored in a season with 854 (53.4 average). Allan Jamail, NC Star writer, asked Coach Kay for a prediction and goal for 2019. Kay said, “I can’t predict this far out. We’re losing some great senior talent, but we have a good crop of upcoming players we’ll work to develop to try to fill in for those we’re losing. “My goal is to be the best we can be” Kay said. HOW MUCH AM I BIDDING FOR THIS SOMBRERO? 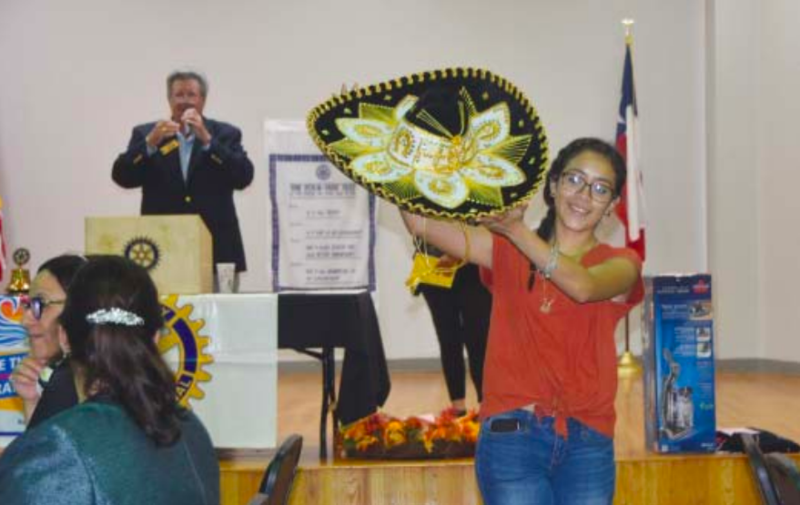 This was one of many auction items at last week’s Galena Park/Jacinto City Rotary Club’s “Million Dollar Dinner.” Thanks to many sponsors and bidders, the club raised $10,000 for GP High School scholarships. MORE PHOTOS on page 3 of the print edition. GALENA PARK, Texas – Commissioner Jack Morman is excited to announce the start of the Federal Road Reconstruction Project for Monday, October 22nd. Improvements include demolishing the roadway to stabilize the subgrade, conducting drainage improvements, and pouring fresh concrete for a new, smooth roadway. The $3.8 million project will improve the roadway from the Washburn Tunnel traffic circle to the new bridge being built over the railroad tracks. Drivers are reminded to travel with caution through the construction zone or use alternate routes, if possible. Roadway construction is expected to be complete in the third quarter of 2019, while bridge construction is expected to be complete late 2020. City government in Galena Park finds itself in a state of change once again, as a leading City Commissioner has resigned from the board, with no reason given. 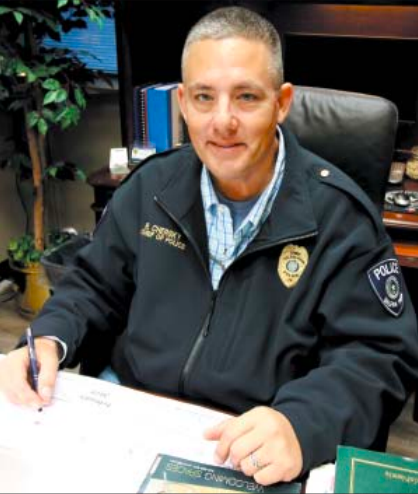 Barry Ponder, a leader of a group known as “Citizens for A Better Galena Park” and a Commissioner since elected in 2017, sent a letter to the city secretary with his resignation. Although missing from all commission meetings since the date of his letter, August 22, the commission has made no public announcement of this resignation or acknowledged his absence. City Attorney Robert Collins told the North Channel Star that the city has up to 120 days, by state law, to appoint a replacement. This replacement would be voted on by the Commission. After 120 days, if no action is taken, the city must hold a special election to replace Ponder. A number of citizens have questioned whether another Commissioner, Rodney Chersky, is qualified to hold his seat on the board because he no longer resides in the city. Although the city charter says that you must be a resident if you run for office, Collins explained to the Star that even though Chersky announced that he had moved into Houston in July, the charter says he can hold the seat until June 1st of the next year, or until a general election is held. However, Collins said this is his interpretation, and will ask for a ruling from the Texas Attorney General. Attorney Collins addressed this situation publicly at the last Commission meeting on October 2nd. He also noted that Chersky plans to move back into Galena Park, which may make this problem moot. L. to R: Ollie Randle (Membership), Anne Murphy (Ways and Means), Diana Cotton (Sgt-at-Arms), State Representative Ana Hernandez, Eronia “Taggie” Hall (Honoree), Rosemary Coreathers (President), Tracy King (Vice President), Winnie Gilbert (Secretary). Back Row: Una Topps (Outgoing Treasurer), Paul Winfield (Treasurer), Elisiah Coreathers (Financial Secretary), not in photo, Johnetta Goodloe (Parliamentarian) and Bessie Cox (Membership). Galena Park, TX. – September 17, 2018 – The Galena Manor Civic Club at their monthly meeting honored retiring President Eronia “Taggy” Hall. Hall was presented an engraved award by Rosemary Coreathers, the new President thanking her for the 8 years of loyal and faithful service to the civic club. State Representative Ana Hernandez presented a State of Texas recognition certificate commending President Hall for her positive contributions to the Galena Park citizenry. Former Galena Park Commissioner Barry Ponder said President Taggy Hall was responsible for bringing many issues to the City which resulted in improving the lives of the community. Training firefighters battle a mock railroad car disaster with hazardous material burning. Bryan, TX — Disaster City — Monday, July 23, 2018 — Galena Park Fire Chief Paul Gregory took a group of his firefighters to Texas A & M College Station, which is in its 89th year of Fire Training and Emergency Responders Training, to upgrade emergency responders’ training and certification.